This basic accommodation enables the cost of the weekend to be affordable and kept to a minimum. You will sleep in a shared room (we will try to meet preferences for single gender rooms but this cannot be guaranteed as it depends on numbers). For breakfast on Saturday and Sunday, oats and milk for porridge, bread for toast, orange juice, tea, coffee (and decaff options) are provided. However there is a self catering kitchen for our use and as such you may bring food to make your own or additional breakfast. 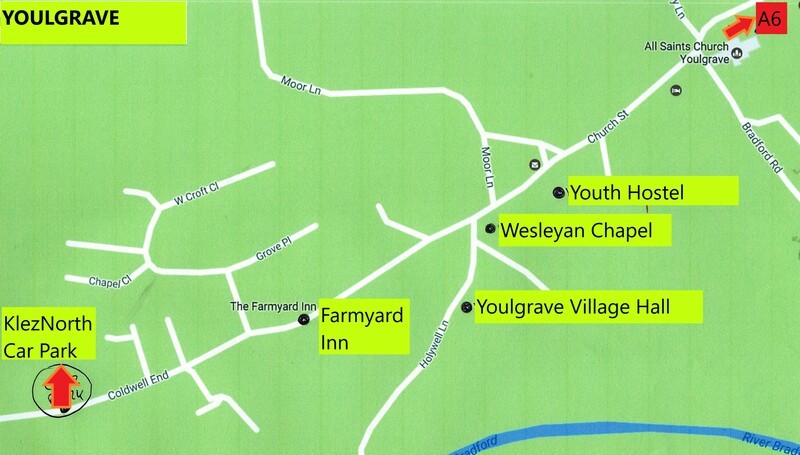 For more information about accommodation and campsites visit the Youlgrave Parish Website. We operate a rota of help which all workshop participants are involved in. You will usually work in a small group for just one short slot of time which you will be allocated to. This helps keep the weekend time we spend together running smoothly as well as keeping the basic cost down to a minimum. Please let us know when booking if there is a specific task type you are unable to do e.g lifting, handling food etc or a day or timing you prefer not to do. £95 for Weekend Ticket (residential) ~ for those opting to sleep in the YHA hostel. This ticket covers: the workshops, Saturday and Sunday lunches, the Saturday evening tish (celebration meal), daytime drinks and refreshments PLUS a bed in the YHA (see accommodation). £65 for Weekend Ticket (non-residential) ~ for those organising their own accommodation or travelling to Youlgrave daily. This ticket covers: the workshops, Saturday and Sunday lunches, the Saturday evening tish (celebration meal), daytime drinks and refreshments. If you later decide that you prefer to stay in the YHA then you can ‘upgrade to YHA’ for £33. £50 for Part Weekend (Saturday and evening) ~ This ticket covers on Saturday: the workshops, lunch, the evening tish (celebration meal), daytime drinks and refreshments. £40 for Part Weekend (Saturday daytime only) ~ This ticket covers on Saturday: the workshops, lunch, daytime drinks and refreshments. NB: This does NOT include the evening tish (celebration meal). £23 for Part Weekend (Saturday evening only) ~ This ticket covers the Saturday evening Celebration tish with Klezmer Kabaret and Keilidh. £35 for Weekend Ticket ~ washing dishes ~ for those willing to do approximately three and a half hours of washing-up during the weekend. This ticket covers: the workshops (when not on on dishwashing duty), Saturday and Sunday lunches, the Saturday evening tish, daytime drinks and refreshments. 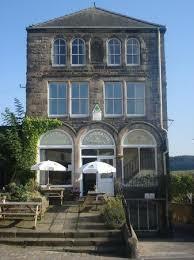 It does not incude accommodation but you can book a place in the YHA for £30 (‘upgrade to YHA’). The food we provide over the weekend is vegetarian. The provision is generous and varied but we cannot guarantee to cater for restricted diets. As the Village Hall kitchen is used by many different groups we regret that we cannot cater for life-threatening allergies. We therefore encourage you to bring anything extra that you may need (ready-prepared food only please). drinks and biscuits during the weekend. If eating with us on Friday evening, please bring a cold only vegetarian dish to share. Please bring a small contribution to a communal fruit bowl. For those who booked a ticket with accommodation (ie at the Youth Hostel), this includes a simple breakfast with cooking facilities available for anyone who would like more. The Saturday night tish (Yiddish = table) is based on the joyous gathering or meal by Hasidim at the “table” of their Rebbe. Throughout the meal, participants sing together – before, after, and in-between eating. At Kleznorth, we bring this tradition into our Tish by combining our Kabaret of song and other performances with our three-course meal. 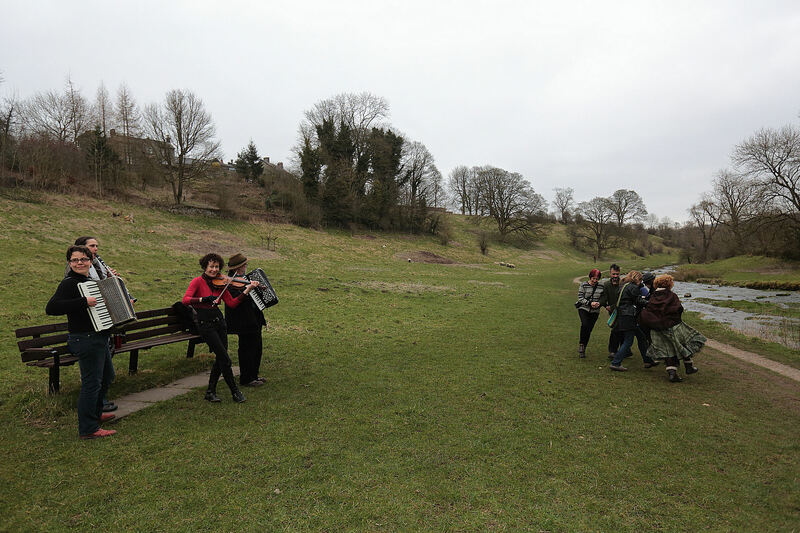 We aim to serve the traditional Northern European Jewish (Ashkenazi) food which is associated with Klezmer music. Although Ashkenazi food is mainly meat/fish based we keep Kleznorth vegetarian in order to be accessible to the greatest number of people. We always manage to produce a great spread despite limited catering facilities at the Village Hall. My Journey Planner provided by Transport Direct, can be helpful. 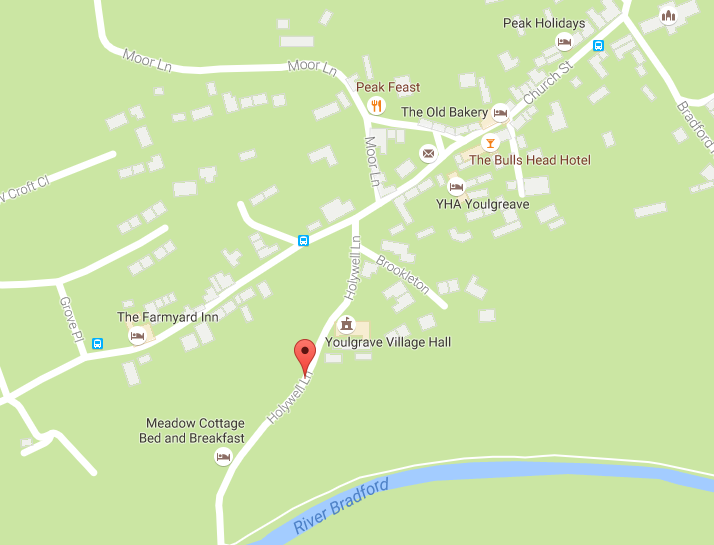 Youlgrave/Bakewell buses run approx hourly 8.30am – 5.30pm except Sunday(Hulleys 170 or 171). Buses from Manchester to Derby/Nottingham (Trent Buses ~ ‘Transpeak’). Information about all UK buses: traveline.org (click East Midlands on map, then ‘RouteTimetables’,) or gobycoach.com for National Express information. Information about all UK trains is available from www.nationalrail.co.uk or www.thetrainline.com. Chesterfield (13 miles ~ on the London – Sheffield & The North line. Buxton (13 miles) ~ trains from Manchester terminate at Buxton. Matlock (8 miles) ~ trains from Derby (and the South) terminate at Matlock. 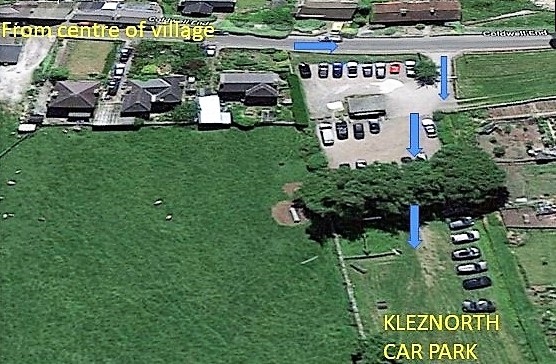 There is no parking by the Village Hall. The Hall is located on a very steep no-through road and there is extremely limited space to turn. We ask you please not to bring your car down to the Hall to unload. Please share resources! If you can offer a lift to Kleznorth or if you want a lift to Kleznorth then register on www.liftshare.com to link up with others from your area. Enter ‘Youlgreave, United Kingdom’ as your destination (as the village is listed twice on the Liftshare website). You could also offer or request lifts from Matlock, the nearest station. Also, have a look at and join our Facebook page https://www.facebook.com/kleznorth and you can add a message there about lift offers or requests.